A vanity is a piece of furniture reserved for a woman's perfumes and cosmetics. Vanity is also a trait our society encourages women to have. 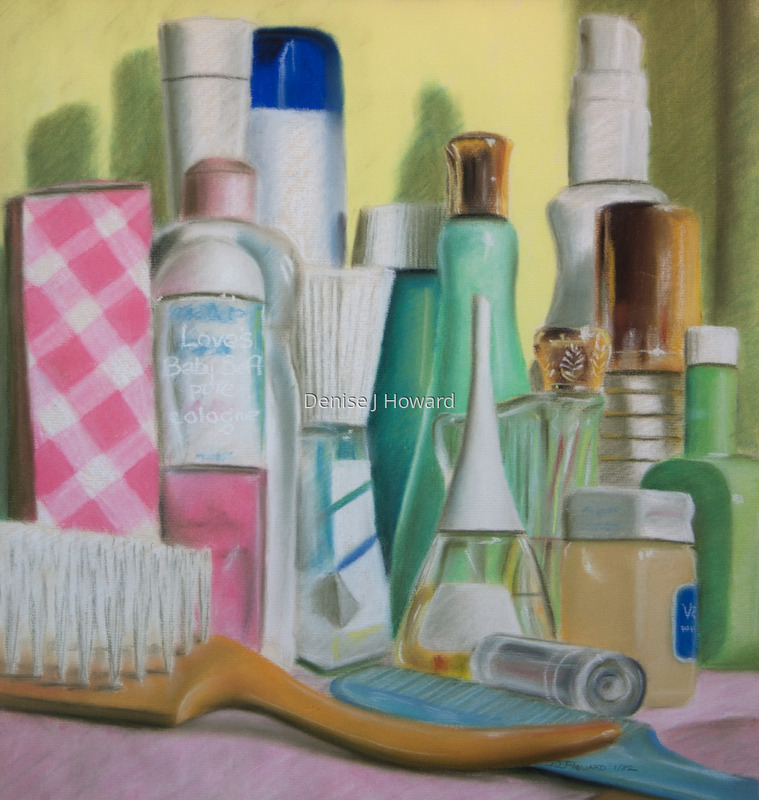 Pastels on Mi Tientes paper. 5.25" x 5"11.5" x 11"18" x 17"